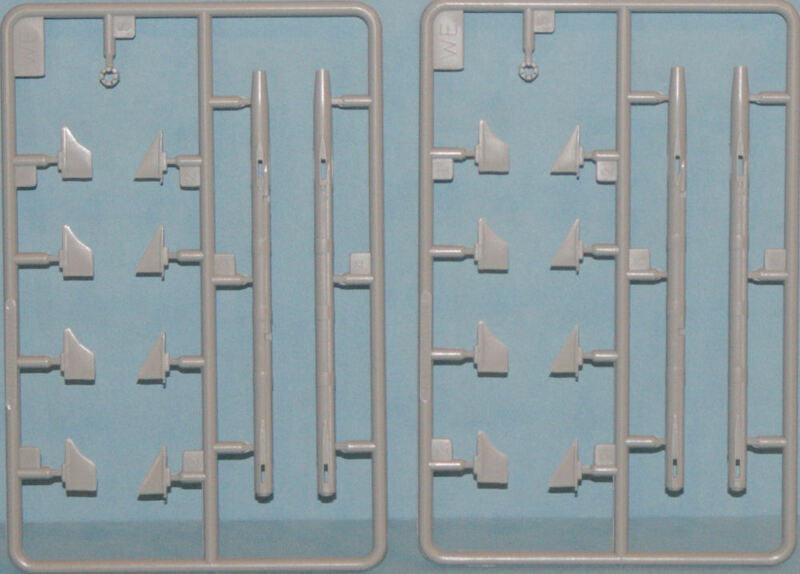 About four years ago, Trumpeter released its US Aircraft Weapons set ( look here) and provided many of the sprues that had appeared in the A-10 and other of their earlier 1/32 attack aircraft sets. 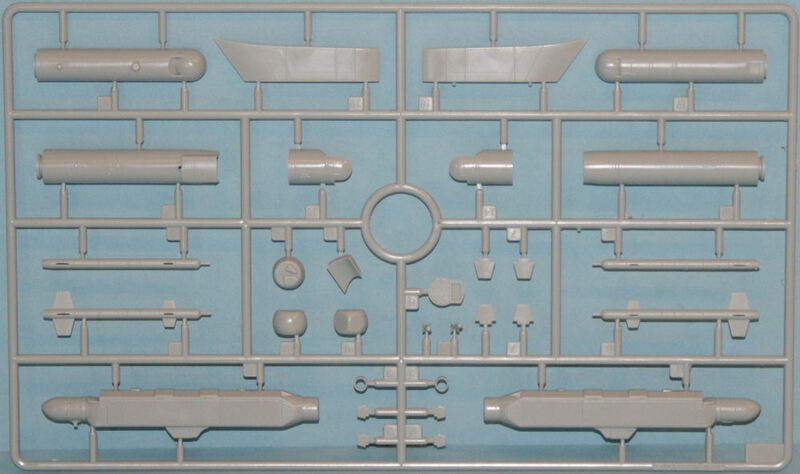 These were the equivalent of the weapons sets produced by Hasegawa in 1/48 scale that allowed modelers to bomb up their projects beyond whatever was included in the kits. 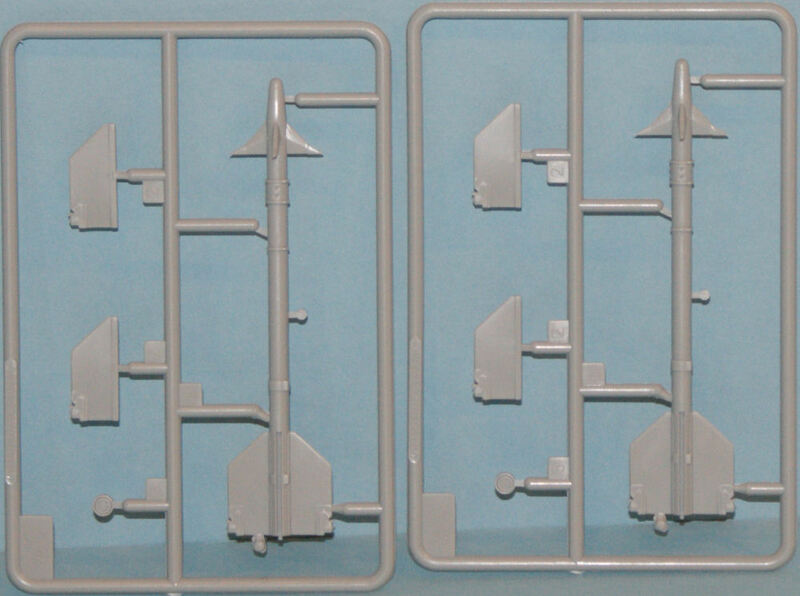 With the release of their latest generation of 1/32 super aircraft, notably the 1/32 F-14 Tomcat and 1/32 F/A-18 Super Hornet kits, Trumpeter had tooled up more weapons that are now packaged separately to support your other large-scale projects. Now that I can look at these weapons outside of the 'shock and awe' of the aircraft kits these were packaged with, there are some really nice weapons in here and one disappointment. 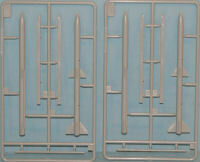 The AIM-7F Sparrows are nicely done right down to the fuselage cable runs. 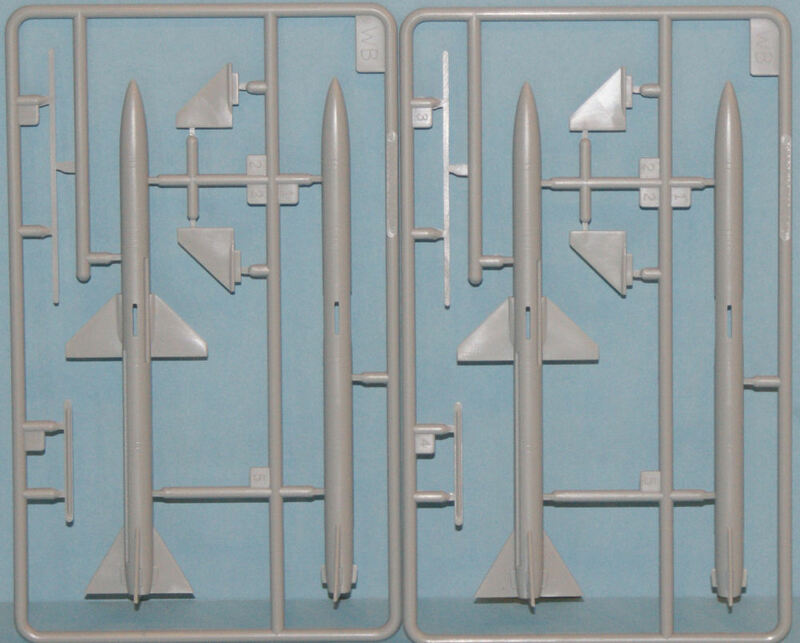 The AIM-9L/M Sidewinders are also nicely done. 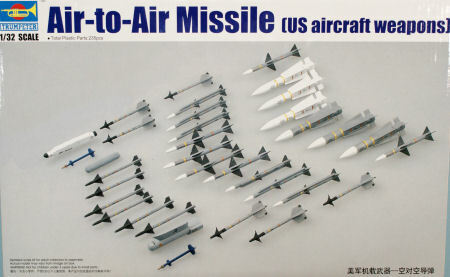 The AIM-54 Phoenix missiles from the Tomcat kit look great and include recessed engine bells. 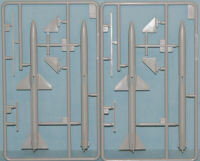 The AIM-120 AMRAAMs are the earlier A/B models with the full-sized fins. 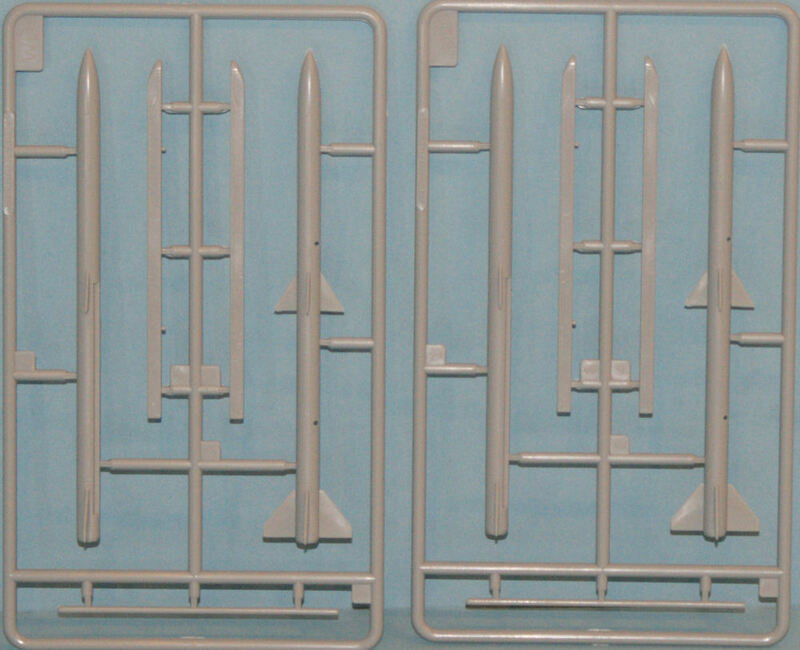 If you want the clipped winged AIM-120C, you need to carefully trim the kit fins. 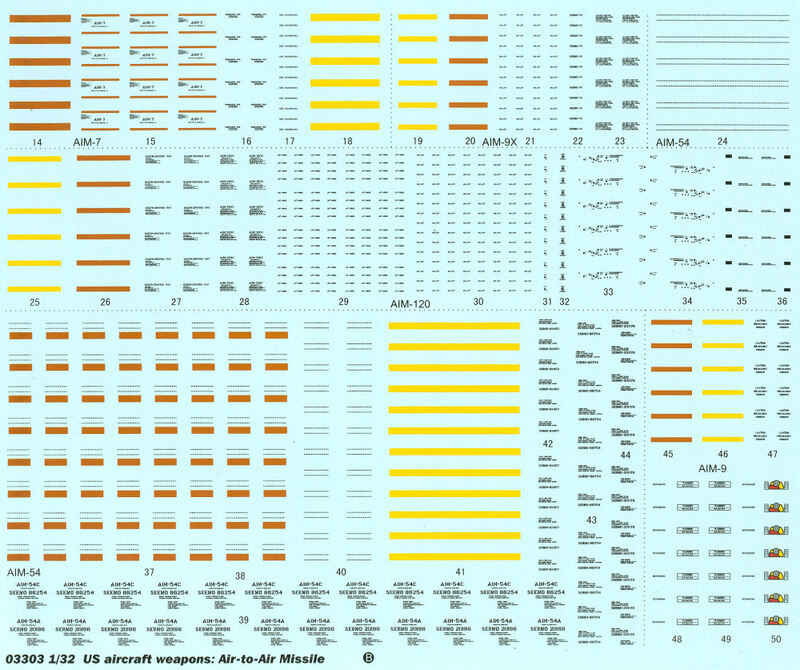 The disappointment in this set are the AIM-9X Sidewinders. The fins are simply wrong. The rear fins are the wrong shape, the forward airframe is shaped like an AIM-9D seeker head with the fixed forward fins displaced too far aft. The set includes a pair of laser-guided targeting rounds, one each Super Hornet ATFLIR pod and a LANTIRN targeting pod. Wrapping up this set is a very nice (and most welcome) ALQ-131 pod. I was so used to seeing the ALQ-131 on the Weasels and the Vipers that I was quite surprised that Tamiya, Academy, and Hasegawa all overlooked this pod. Now we have a source for a good centerline ECM pod for my next F-16C project. 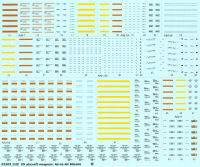 The set comes with a really nice set of decals for each of the weapons and pods. As you can see in these images, the stripes are yellow and brown indicating live warheads (yellow) and live rocket motors (brown). If you want to build these up as training rounds, you'll need to replace all of the stripes with blue for inert warheads and motors. The beauty of these weapons sets is that you can arm up your aircraft in a way not available straight out of the box that will make the final project more noticeable. 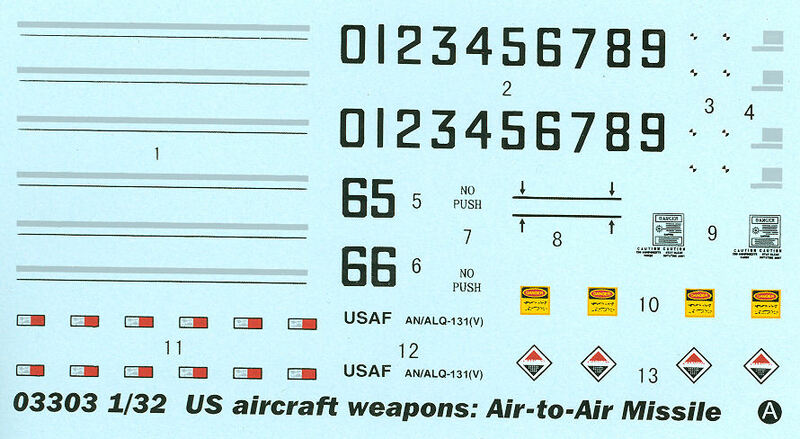 As with any weapons, if you slap them together with a little paint and some decals, these won't help you. But if you treat each weapon as a detailed model of its own right, they'll really pop on under wing wings of your next project.